You will see a pop-up with the fields you can edit. The fields are the Title, Description and the Sync Interval. Once you have made your changes and click save. 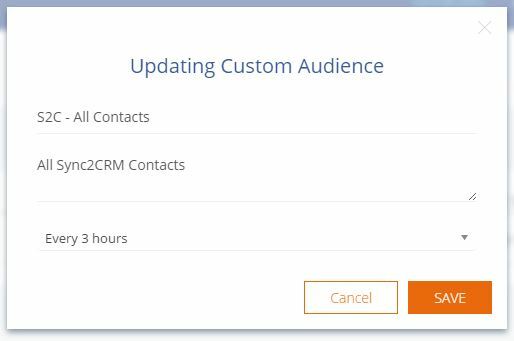 When you click Save the page will be refreshed and you can see your Custom Audience has been updated. ©2015 - 2016 Addanell Inc.
Get on our free Insiders List. Never miss another thing. We hate spam too. Unsubscribe any time.